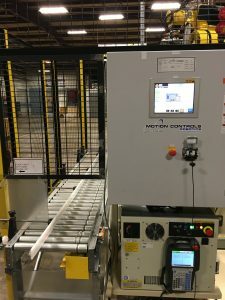 You can save yourself surprises by planning robot controller mounting and wireway routing ahead with your selected robot integrators project team. 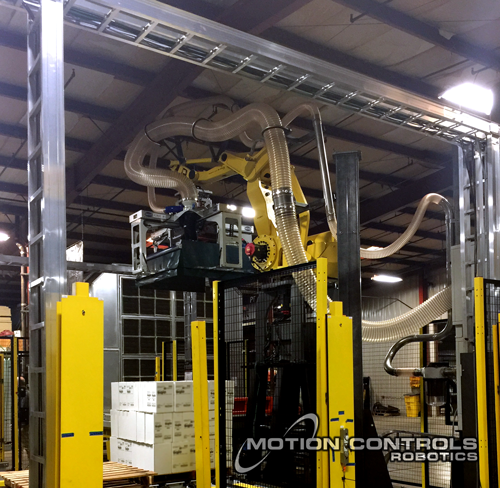 One of the many decisions that needs to be made in the layout and design of a robotic work cell is, “Where should the robot controller go?” Explore the options available and the main drivers for selecting the best location before you make the final decision in your facility. Some facilities have specifications governing the choice of wireway type and routing paths inside a robot cell or machine, others do not. Communicate any specifications to your robot integrator. Review your integrator’s proposal and communicate with the project manager and electrical engineer about the selected wireways and protection level. For optimum maintenance/operator convenience and robot cell up-time, the controller is frequently moved outside the cell (close to the cell entry gate) to keep all the controls located in close proximity. This does require a pathway for the robot control wires and power wires from the controller. The wireway used in this robot system was installed overhead to eliminate any traffic or safety issues. Floor mounted – placing floor mounted wireway underneath conveyors or on the inside of conveyor legs or legs of other equipment inside the cell can reduce or eliminate tripping hazards. Overhead mounted – wireway is commonly run from the floor up the fencing and across the operator door, then back down the other side of the door. Combination – avoid running floor mounted wireway in high traffic areas such as stations where material is manually moved into the cell, or where a fork truck accesses the cell to insert or remove material. The space underneath a palletizing robot, assuming the robot is raised from the floor, is a popular location for the robot controller. Wire lengths and tripping hazards are minimized and installation cost should be slightly lower. However, powering up a robot controller, resetting it in the event of a power failure or error in the robot cell can be much more complicated and time consuming if an operator is required to enter the robot cell. FANUC does offer a relatively inexpensive option to duplicate the manual controls normally located on the face of the robot controller. This auxiliary operator control panel can be mounted outside the robot cell when the robot controller is installed inside the cell. It has a location to plug in a teach pendant, and the T1 /T2 switch to select robot programming speed on the robot. One way to minimize the floor space required outside the robot cell is to mount the controller inside the cell with its face at the perimeter fence line. This is a common controller configuration for MCRI’s robot cells. This setup has the added benefit of maintaining operator access from outside the cell and giving the controller some additional protection. The recessed controller is located close to the entry door, so the operator can move efficiently while troubleshooting issues. This also works well for us because we like to leave 42” in front of controller cabinets to allow a little breathing room in the cell design and give the maintenance people room to work. This system shows a recessed controller to save on floorspace. 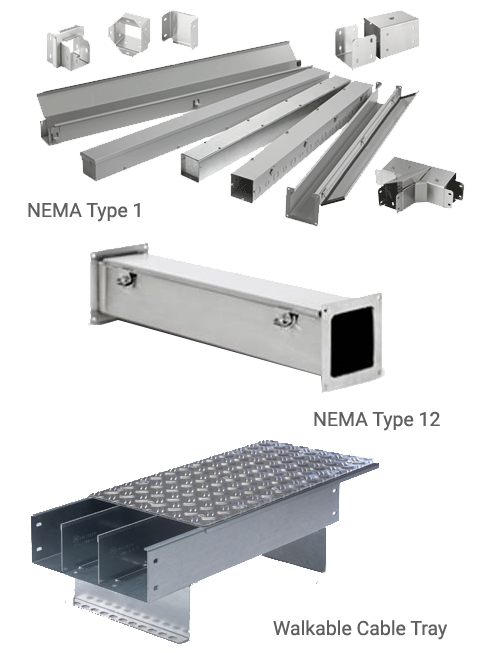 Using the lower cost wireway mounted on conveyors is always an option if the correct setup is present. If not, an overhead wireway that connects directly to the fencing moving down to the controller is a very clean run that eliminates tripping hazards or damage. The other option is a more heavy duty wireway enclosure placed in a low traffic path of the robot cell. You can save yourself surprises by planning robot controller mounting and wireway routing ahead with your selected robot integrator’s project team.